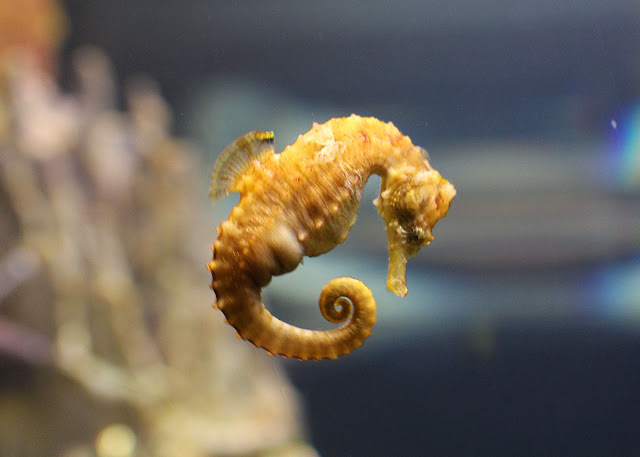 It takes about 9 months for baby lined seahorses to grow to full size. 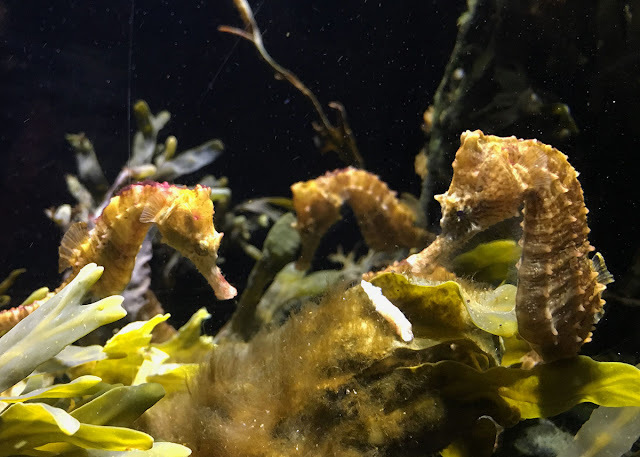 So as you can see, these seahorses born this past September are already well on their way to adulthood. 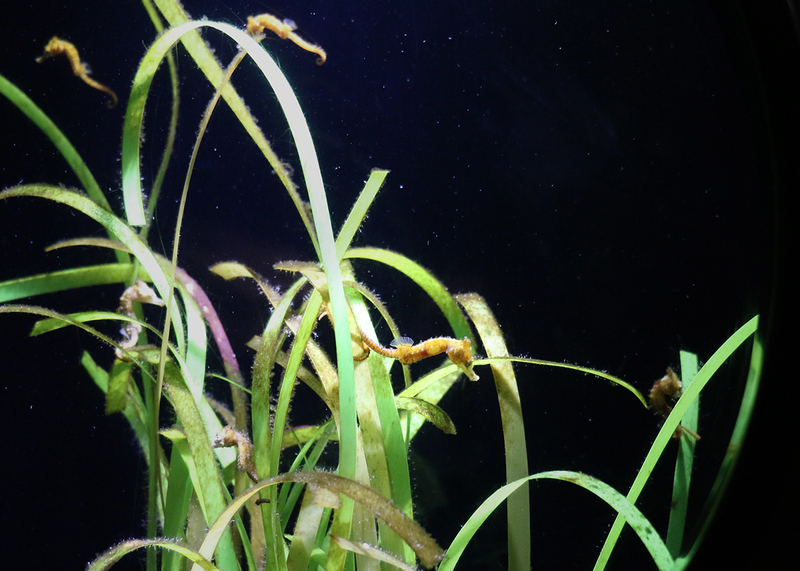 Several weeks ago they graduated to adult food — mysid shrimp — and a few are large enough to go into the larger tank! across from the electric eel on Level 3! Let's take a walk down memory lane to see how these amazing creatures have grown over the past few months! 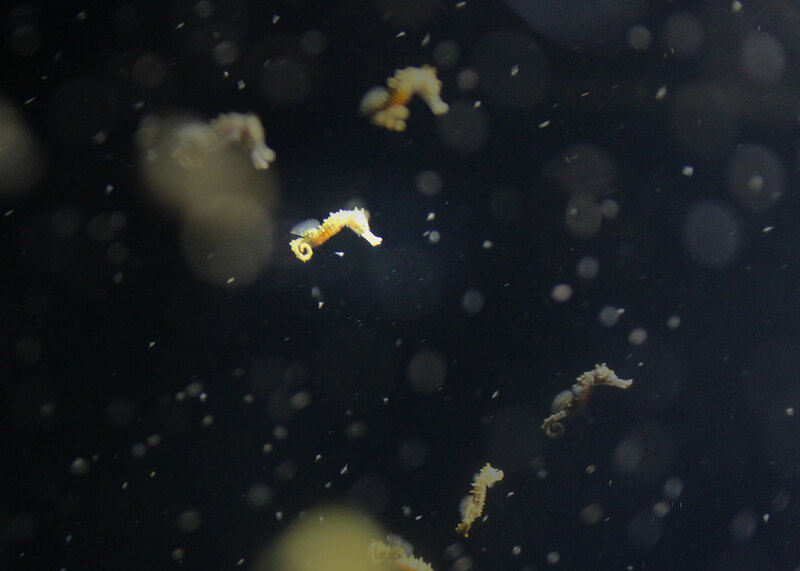 Here's a collection of pictures of the baby seahorses, starting with newborn pictures from last September. Late January: Starting to look like tiny adults! 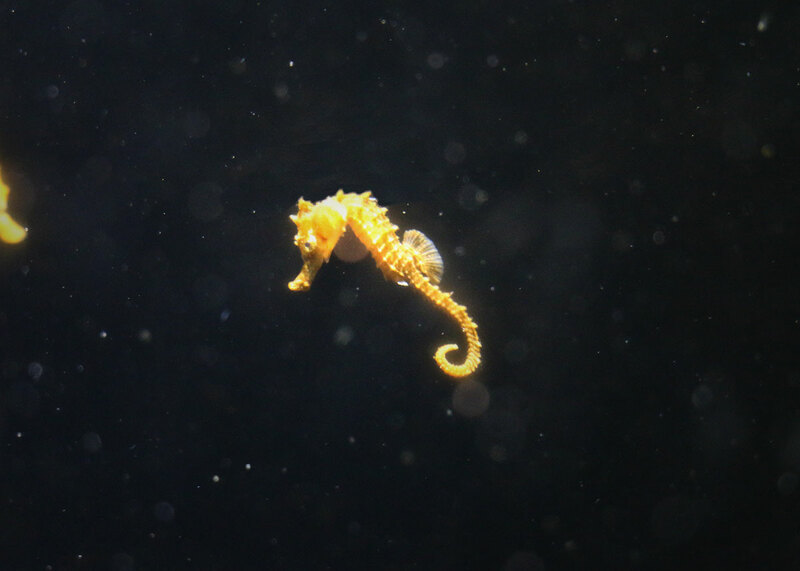 March: The seahorses started eating frozen mysid shrimp and grew by leaps and bounds. They were just weeks away from joining the adults! in the exhibit because the youngsters are smaller, obviously, and they are much lighter in color. Watching the babies grow has been an absolute treat this winter. 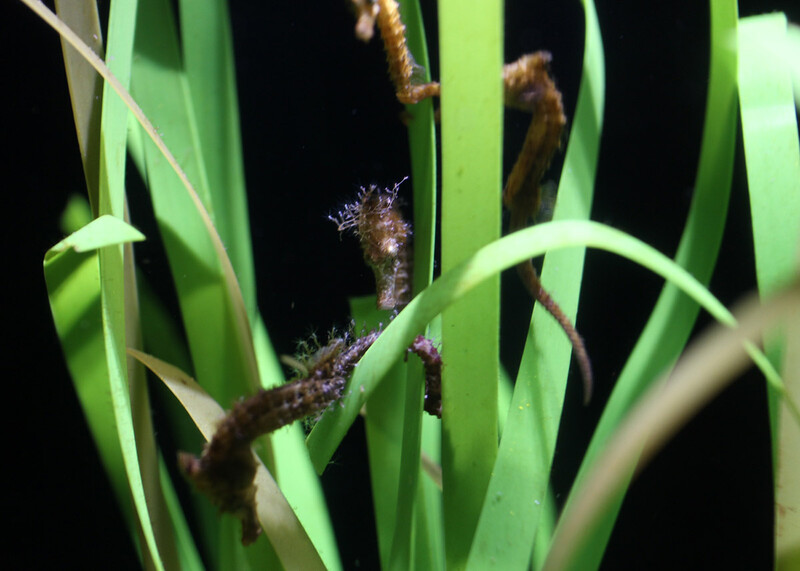 Be sure to come visit to see these youngsters before they're all grown up! 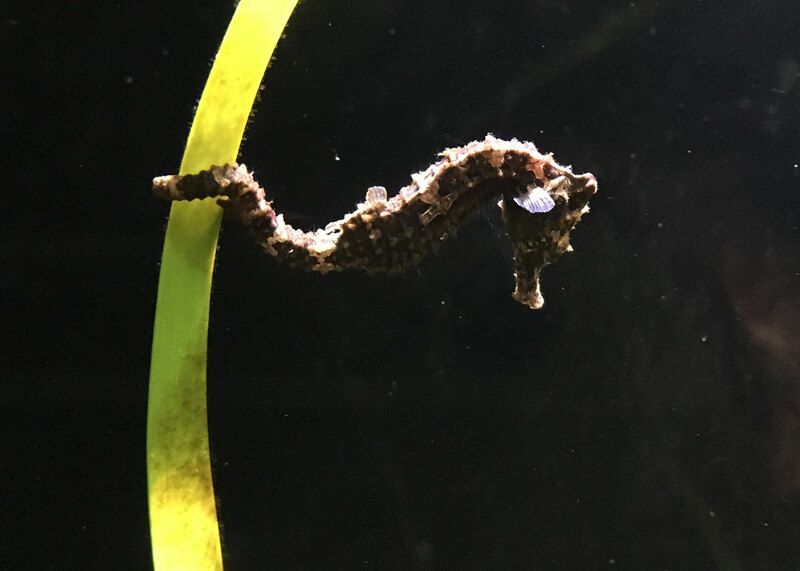 For comparison, here's an adult lined seahorse. 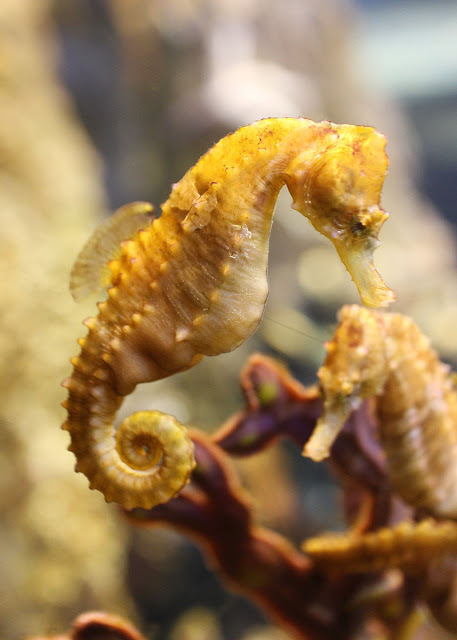 See video of the newborn seahorses. 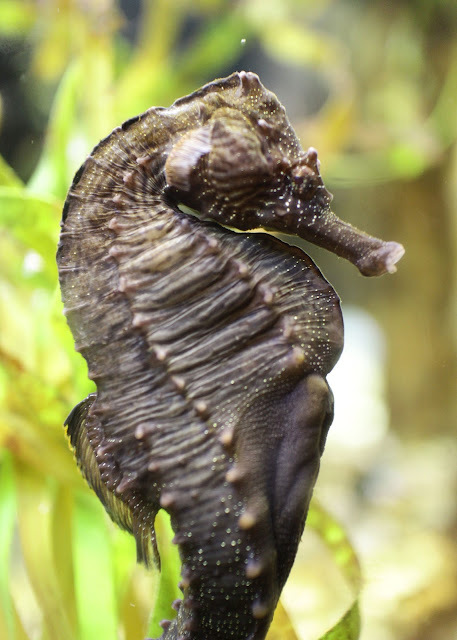 Check out some of the other impossibly tiny animals you might find at the Aquarium.